Plot: Two single parents that have a bad history end up on the same African safari. While I will say this movie is significantly better that Sandler's last four or five movies, that's still not saying very much. It's not quite funny enough and it's not quite heartwarming enough, but it does enough to keep the audience fairly entertained throughout. 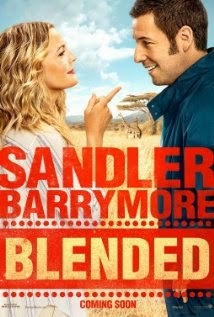 I was pleasantly surprised that the chemistry between Sandler and Barrymore is still there like in 50 FIRST DATES. And the addition of some of Sandler's regular go-to actors add a fun element to the film. Sandler really hasn't made a film worth talking about for several years, but this is his best work in quite a while. I still wouldn't recommend spending the money for a movie ticket, but it will definitely be worth watching on DVD in a few months. Plot: Wolverine is sent into the past to try to change an event that dooms humanity and the mutants. 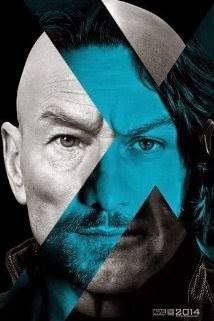 The latest installment in the X-MEN franchise is one of the best yet. It draws from old story lines and gives us new characters to root for. It is action-packed, but it also is thought-provoking and emotional. The technical effects are second-to-none and the plot is fast-paced even though there is a lot of set-up dialogue throughout the film. It's not necessarily worth spending the money to see it in IMAX or RPX or even 3D, but it is absolutely worth seeing if you are into comic book movies at all. Plot: Live action footage of US troops in Afghanistan battling the Taliban. This is one of the most intense films I have ever seen. All of the footage is real. It is terrifying, brutal and horrific. But it is also heroic, strangely beautiful and mesmerizing. 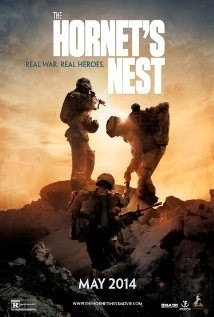 This film is not for everyone, but if you think you can handle it, I highly recommend seeing what our troops go through every day to help keep our nation safe. You will have a new-found respect for our military men and women after seeing this film.